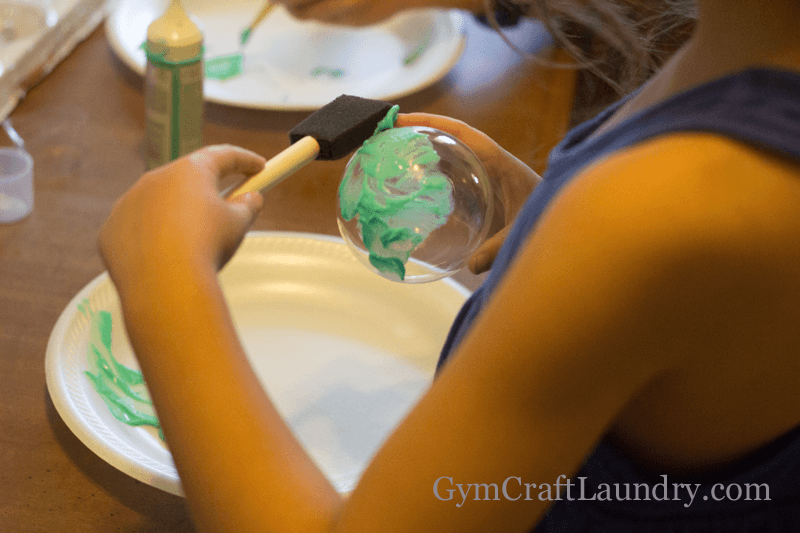 You can’t have a homemade Christmas without decorating glass ornament balls! 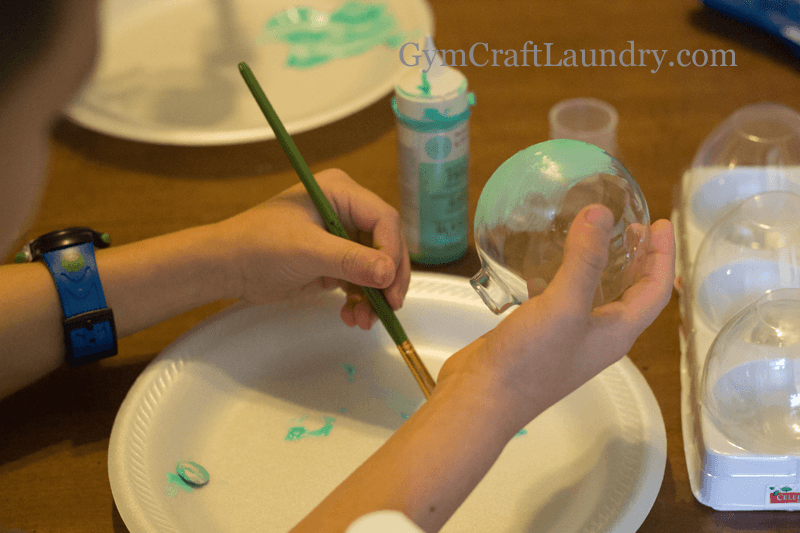 There three versions of homemade glass Christmas ornaments are so fast to make. Glass is versatile. Scanning Pinterest, there are tons of ideas out there for decorating them. I’ve been on a faux mercury glass kick lately. I love finding cheap glass and making it pretty. Then I remembered my sister’s obsession with thrifting for milk glass. I personally love the look of beach glass. So I figured that our homemade Christmas ornament collection could use a few of each. Please note: this post includes affiliate links for your shopping convenience. 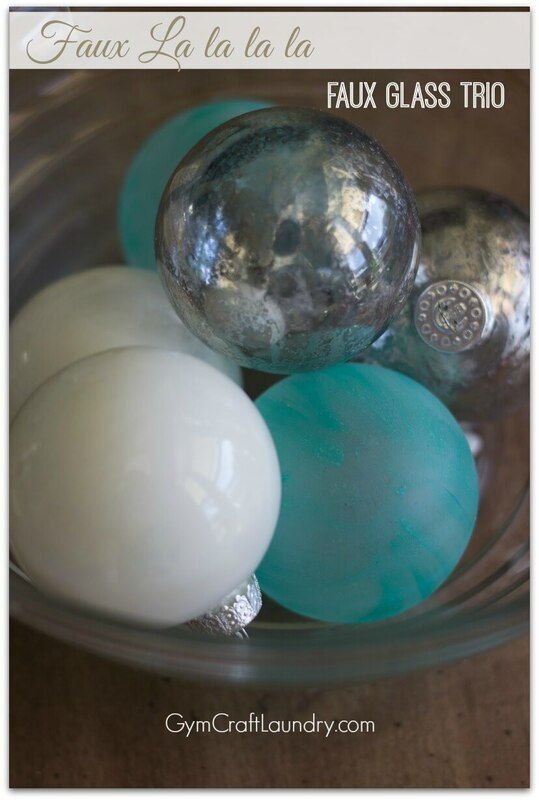 First, I took a couple of ornament balls and did a slap dash faux mercury job on them. I took off the tops and then sprayed each of the balls with vinegar. Next, I took my Looking Glass spray paint and sprayed on a thin layer. I misted the balls with more vinegar and then another layer of looking glass paint. I did this until I had the desired look. 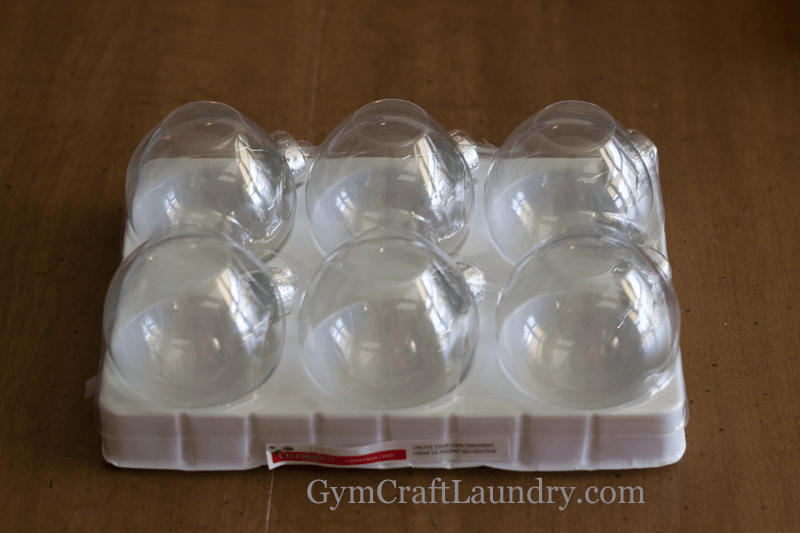 Finally, I gently dabbed the mercurized balls with paper towels and let them dry. I let the kids do the faux milk glass ornaments. 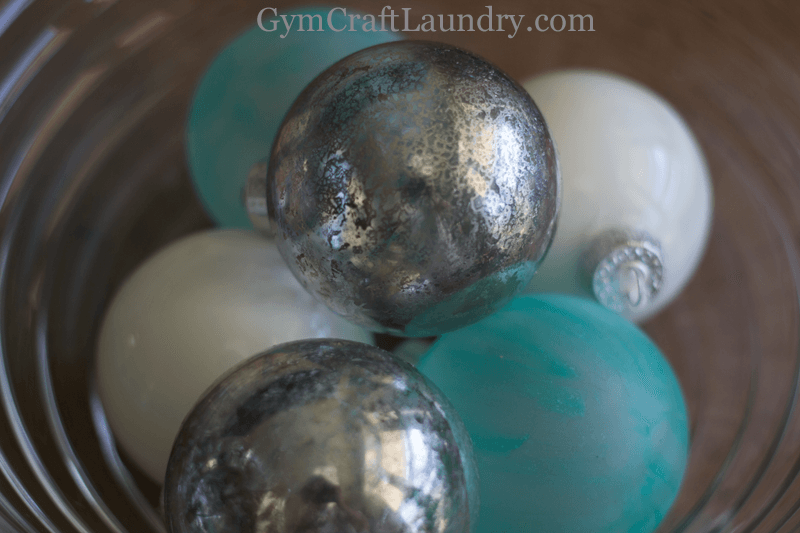 I took the tops off of the ornaments and squirted some white acrylic paint inside the glass balls. The kids gently twirled around the balls until the white completely covered the inside of the ornament balls. We put them upside down in an empty milk carton so the excess paint could drain out and we left them to dry overnight. 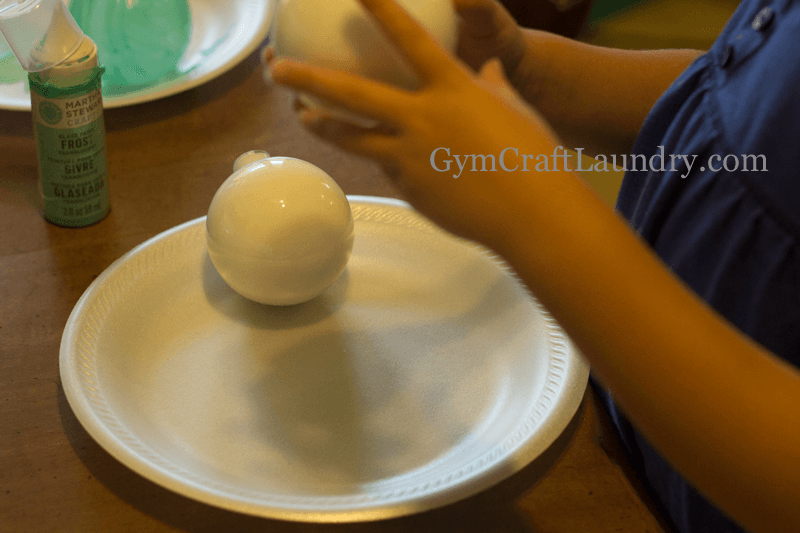 I took the tops off of the ornament and handed the kids some paint brushes and a dish of paint. Please note: When crafting with children be prepared for your project to be a little less perfect than it would be if you did it yourself. Don’t worry. The pride that your child will have at the outcome is well worth it. I think that they did a great job! Thank you! I am amazed at how good a job my five year old and seven year olds did on the ornaments! Wow, you did a great job on these ornaments! I like the colours you picked for them. Your kids did really well with the paint job on this one. I’ve always wanted to try something like this, have yet to do so though. I tried the mercury glass ornament just the other day and loved how it turned out. Well worth the time making these. I only had to do the mercury glass 🙂 my two elves did everything else. These turned out so pretty!!! I’m amazed at how well the kids did with them. I’m thinking about giving them a try here with my dudes! From the results, it looks like they’d be really hard to make. I’m so glad to see that’s not true! These are adorable! I love the teal! That looks so fun. I would love to try this. Though my four year old could not handle it – my almost 7 year old and 9 year old would go crazy for this. The personalized ornaments would really be perfect for gifts. You can personalize the design to match the recipient. This look really cool! I’ve pinned it so I can come back and see how to make this later. Penny Struebig recently posted…December Giveaway — Enter Now! This looks great! What a creative way to make homemade ornaments. You’re truly very creative to have thought of these ideas. What’s the use of vinegar – is it to clean or polish the balls? 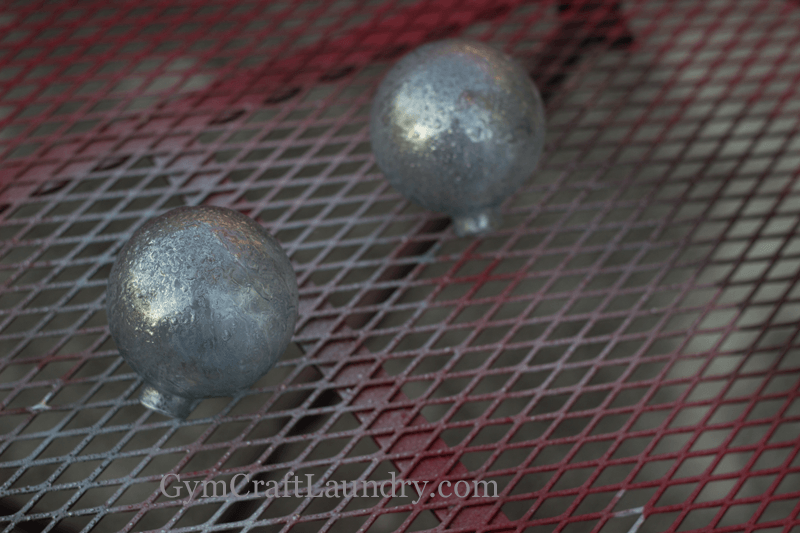 The vinegar helps get the mercury glass look on the silver balls. Those look beautiful! PERFECT for a Frozen party too! Pinned and Stumbled! These are a really great idea. You kids did an amazing job. 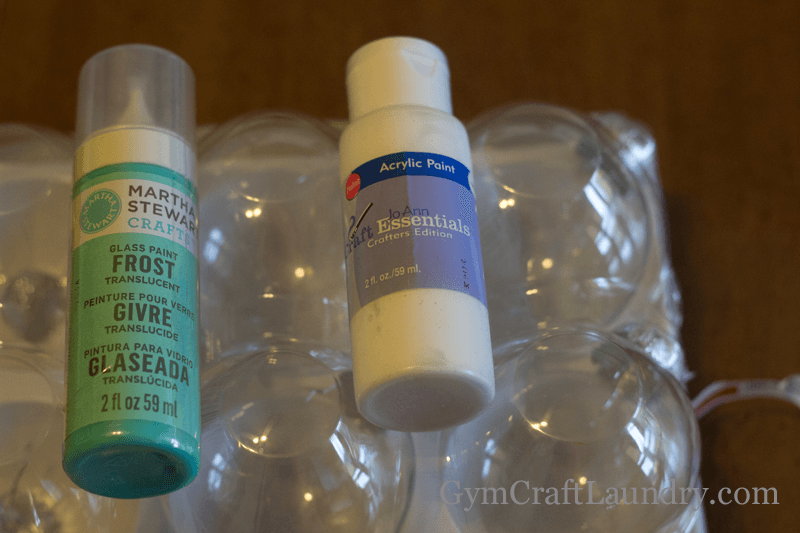 I just love what DIY can do for you! It looks awesome now. I LOVE THESE!!!! Your littl elves did a fantastic job. Thanks for sharing their work and yours, with us at MMBH. Happy Holidays! [email protected] recently posted…Child benefit entitlement explained for new and expectant parents…. My girls would love to make these. They turned out so pretty! 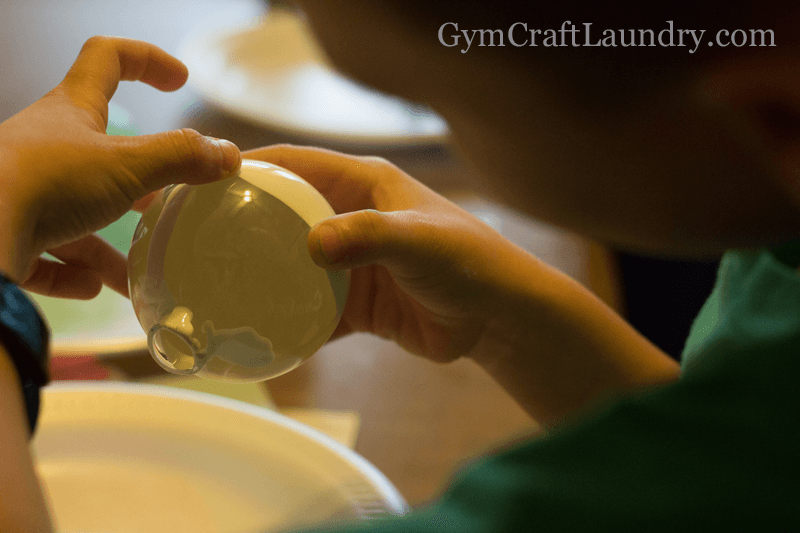 Thanks for linking up to the Bloggers Brags Pinterest Party! I’ve pinned your post to the Bloggers Brags Pinterest Board. Tammy @ creativekkids recently posted…Scattered Saturdays: Christmas Programs, Presents, and More! I love these ornaments. The kids did a great job. Love how these turned out! 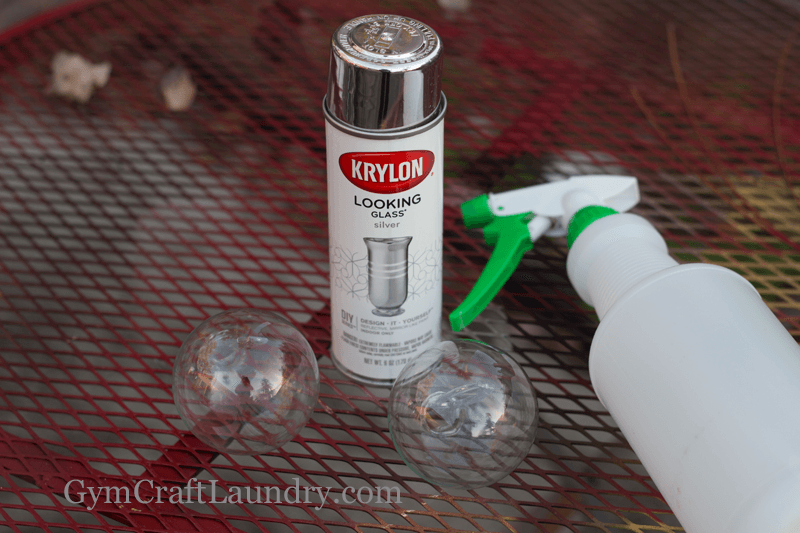 I love using these ornaments; so much you do with them! Thanks for sharing at #made4kids!